Born at Auchtergaven, Perthshire, he trained with local architect Andrew Heiton (of A & A Heiton), then in various offices in Edinburgh. In 1888, he became staff architect for the Caledonian Railway Company, designing stations and hotels in the West of Scotland, e.g. Botanic Gardens Station, Glasgow (1894, dem. 1970) and Wemyss Bay Station (1903-4). 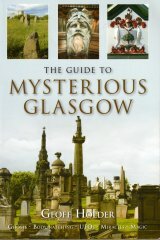 He established his Glasgow practice in 1893, producing churches, tenements and houses throughout the city and Scotland. In 1896, he designed the tiny but exuberant St Enoch Square Underground Station (now Travel Centre). Winning the competition for the 1901 Kelvingrove Exhibition buildings (1898), he became associated with the sculptor Albert Hodge , employing him on the sculpture and plasterwork for the Industrial Hall. Both their reputations were made and further joint collaborations followed, including Caledonian Chambers, 75-95 Union Street (1901-3), Clydebank Municipal Buildings (1902) and the former North British Locomotive Company, 118 Flemington Street (1903-9). In 1907, Miller was awarded the commission for the rebuilding of Glasgow's Royal Infirmary despite its competition having been won by H E Clifford, and the fact that Miller's design was critisized at the time for having the potential to overwhelm the nearby Glasgow Cathedral due to its massive scale. Acknowledging this threat, Miller modified his plans for the Jubilee Block which faces onto the Cathedral Precinct. Albert Hodge was employed to model the carved decoration on the infirmary's facade and, in 1914, produced the bronze statue of Queen Victoria which sits above its entrance (the Jubilee Block commemorates the queen's Diamond Jubilee of 1897). 1907 was also the year in which Miller was to design his most famous project, the palatial interiors for the RMS Lusitania, which was sunk by a German torpedo a year after the Royal Infirmary was opened. Miller is chiefly remembered in Glasgow for his massive, American style mercantile buildings, of which the former Union Bank, 110-20 St. Vincent Street (1924-7) and James Woodhouse & Son, 28-36 Renfield Street (1929-31) are particularly impressive. Amongst his designs for buildings outwith the city are the Prince of Wales Museum of Art, Bombay, of 1907, which was eventually rejected in favour of the design by George Wittet; the Institute of Civil Engineers, Westminster (1912); and Troon Municipal Buildings (1915-32). His less well known Glasgow work includes the monuments to David Younger in Cathcart Cemetery, with bronzes by Kellock Brown and granite work by J & G Mossman (1904); and the Bishop's Place Memorial Pillar, Cathedral Square, executed in granite by Robert Gray (1912-15). Miller lived in Stirling, at Randolphfield, and died on 28th November 1947. His ashes were eventually laid in the Kirk of the Holy Rude, Stirling.